Boat Dehumidifier to help prevent mould. Many Australians love the great outdoors. Some are lucky enough to own a boat and make full use of the weather with a bit of fishing or just pottering around. Once the season has passed, the maintenance of the boat becomes important. Enclosed stale air can combined with a bit of moisture will easily lead to mould. Boat owners often have an unpleasant shock when they take the boat out of hibernation the following summer. Musty smelling boats with visible mould are often the result of having been closed up over winter. We have dealt with Moisture and Mould in a previous post. Just click on the red link for more information on the subject. An electrical dehumidifier can be an option but is not always practical. Our Boat Dehumidifier range is the answer. You will have to service the dehumidifiers from time to time, but they have some major advantages. They require no electricity and can be regenerated in the sun or a microwave oven. This reduces the fire risk during the boat storage phase. Our Boat Dehumidifier range can be used hundreds of times. There are no refilling requirements and our products will not leak. Keep your boat mould free. 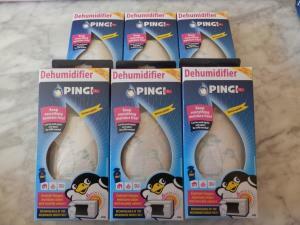 The Boat Dehumidifier range consists of the Pingi XL 450g. With an absorption capacity of 180ml per cycle, we recommend using either the 3 pack or 6 pack (depending on the boat size). Just click on the red links to make your order. 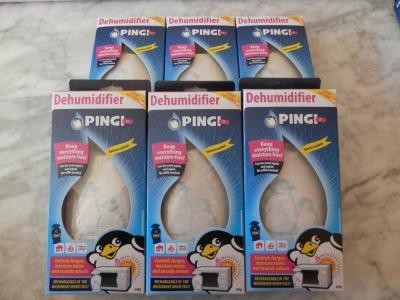 We also have dehumidifiers for cupboards, wardrobes and other enclosed spaces. Have a look at how we approach our online customer service and sales. Click on the red link. Please go to our Shop and check them out. Boats.com has some handy information on which boat dehumidifier to buy. Sydney. Melbourne. Brisbane. Gold Coast. Central Coast. Hobart. Perth. Adelaide. Use dehumidifiers/moisture absorbers for drying: Bedrooms. Storage. Bathrooms. Blinds. Gun safes. Cupboards. Wardrobes. Cars. Windscreens. Smartphones. Books. Window Condensation. Tools. Caravans. Pantry Food. Small rooms. Hanging in closets. Gifts. Some very handy hints on how to store contents from Store Ur Stuff. Our products contain Silica Gel pellets. More data on this ingredient can be found on Wikipedia. You may also have other moisture related issues with mould. Should you need a professional mould removal service in: Sydney. Brisbane. Melbourne. For additional information on mould removal on: Blinds. Bathrooms. Clothing.